Photo 4 from my Liverpool walk. I loved the architecture in Liverpool, especially all the different sculptures you could find everywhere. 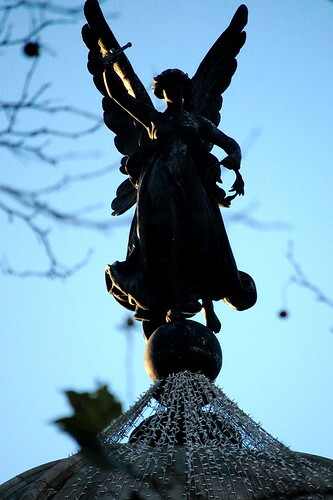 This angel stood out to me though, and I like how I’ve captured it partly in the darkness. You can’t exactly see it in detail, but the silhouette is gorgeous.